Content marketing is a constantly evolving practice. In order to keep your content relevant and effective you need to stay on top of the latest trends. In the digital age, things move very fast and trends change drastically from year to year. For content marketing companies, looking at the year ahead can help them stay ahead of the curve and continue to deliver great content. Here’s a look at where content marketing could be heading in 2016. Social media has been important for marketing and campaigning for years now, but a lot has changed from the days when Facebook, Twitter, and YouTube were the only prominent platforms. Social media is becoming increasingly fragmented, with market share now divided among many smaller platforms. With 3.92% market share, Reddit is almost as prominent as Twitter. Pinterest, Tumblr, LinkedIn, Yahoo! Answers, Google Plus, and Instagram make up roughly eight percent of social media market share. Exclusive mobile apps like Snapchat offer other opportunities. This means that content marketers can no longer rely on one channel; good content strategies requires a diverse range of platforms. Interactive content is becoming more prominent than ever, with infographics, quizzes, and interactive games. There has been a surge in online platforms that allow users to interact and create their own media. Online audiences are not passive, preferring to engage with content directly. Even for text- or video-based platforms like Facebook and YouTube, comments, forums, and communities have become key for engagement. Content marketing that can also be interactive will be most effective. The most common online activity for teenagers in the U.S. is watching video, with an overwhelming 82% of teenagers now doing so online. This means that if you are not using video, you are not reaching everyone that you could. Video now plays a part on almost every social media site, and several newer sites, like Vine, are entirely video-based. This doesn’t mean you have to start your own film production unit. Using video can be as simple as sharing or embedding online videos into your existing content, which is a practice that will both please the video creator and draw views in for your content. User-generated content is perhaps the biggest change that is happening and will continue to grow. There has been a clear shift from social networking to active content creation, with sites like YouTube, Vine, and Wattpad becoming creative outlets for users. The primary outlets people see your content through are going to be by users retweeting and blogging about your company, and creating their own video responses. User-generated content, when in response to your own content, can increase your reach and audience by an almost unlimited amount. Tapping into user-generated content will be more crucial than ever to content marketing success. 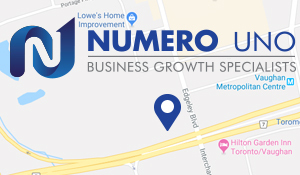 Numero Uno Web Solutions is a provider of search engine optimization (SEO) solutions for startup and small companies from all industries and fields. We stay on the pulse of industry changes and adapt our practices to produce quality SEO and content marketing plans to fuel the growth of businesses across communities. Click here to learn more about content marketing techniques and how we can help improve your search profile.